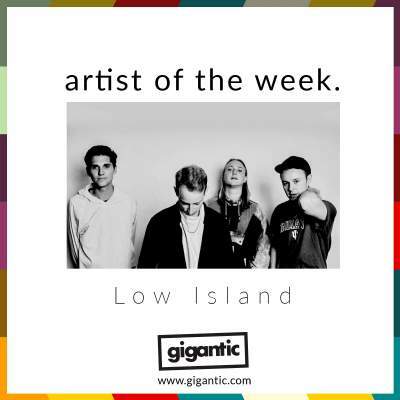 Moody and atmospheric yet loaded with huge bursts of energy, Low Island is the collaborative work of Oxford based DJ/producers Carlos Posada and Jamie Jay, plus jazz drummer Felix Higginbottom with Jacob Lively on bass. Channelling the communal atmosphere grown from club culture and combining it with the sheer thrill of live band performance, Low Island links the estranged music scenes and fuses them into a unique experience which has seen them gather support from such esteemed presenters as Lauren Laverne, Tom Robinson, Tom Ravenscroft, Phil Taggart and Huw Stephens who have all enthusiastically given them prominent airplay on their shows. Low Islands came about somewhat accidently, formed after Jay and Posada were writing a theatre score which needed the added dimension of feeling live. The pair has previously worked with Lively in a band earlier in their youth whilst also enjoying a residency at The Warehouse in Leeds. After recruiting Higginbottom who had been touring with the internationally famous act Snarky Puppy, the band of school friends was complete. Success came quickly, with their debut live show at The Sebright Arms selling out and their first EP ‘Just About Somewhere’ has been streamed over 700,000 on Spotify alone since its release in 2016. Their momentum continued, and they brought out their second EP ‘In This Room’ the following year which saw them begin to attract interest from BBC 6 Music, with various presenters enthusing over their new material. The past twelve months have seen a flurry of activity for the band. Energised by their rapidly growing fanbase and the experience of touring abroad and playing to an international audience, they brought out a third EP ‘This Other Life’ which paved the way for their collaborative project ‘Low Island & Friends 17-18’ which saw them team up with such esteemed peers as designer Shawn Soh, visual artist and musician Sarah McWhinney plus choreographer Sara Green. The two performances at Corsica Studios were captured by DIY magazine for their online documentary with the music released as a fifteen-track record. Get excited, because they have just announced a tour for the new year! Showing no signs of fatigue from all their work in 2018, they kick off with an extensive Spring tour which takes them right across the UK. Low Island tickets are released at 10:00 on Friday 30th of November, so set your personal reminder with Gigantic right now! Low Island tickets are currently available.